It’s okay. I’ve accepted my fate. Carroll Britton is a makeup artist in Edina, Minnesota. This is her cat, Lilly. Refusing to be labeled as a mere crazy cat lady who likes to dress up her cat, Britton claims it’s for Lilly’s own good. But tragedy struck recently when Lilly returned home from a neighborhood wander without one of her favorite sweaters. “Dogs don’t have that much dexterity! Some human did this. Who took the damn outfit off my cat? I don’t take clothes off their kids,” said Britton. Right. Because that would be exactly the same thing. 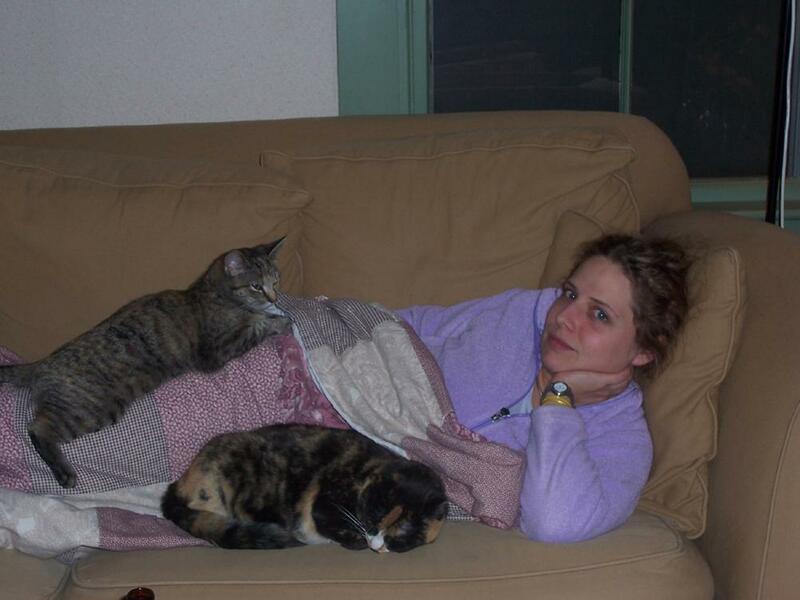 Science is now confirming what I’ve long suspected: an irrational and overly enthusiastic love for cats (or “Crazy Cat Lady” syndrome) is most definitely a disease, and it’s caused by a contagious parasite called Toxoplasma gondii. This by itself might not sound like such bad news to you fur-o-philes reading WWW, but I urge you to read on . . . 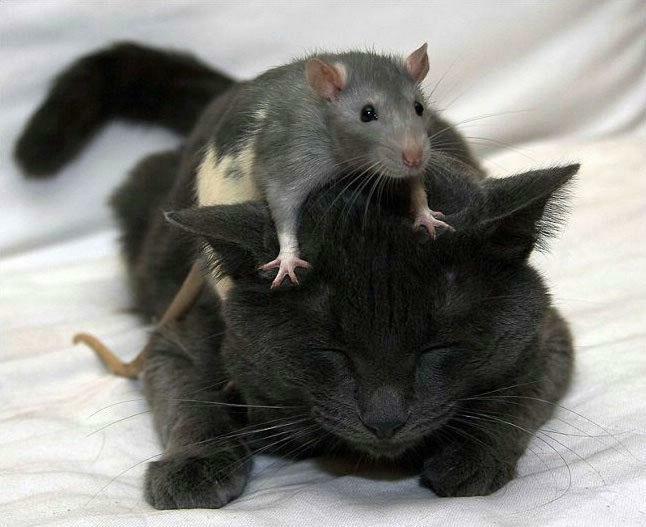 So, having this parasitic disease first makes mice fat, and then makes them like cats. That doesn’t happen to humans, though, does it? So a few more mice get eaten. What’s the big deal? In addition to widely credited research suggesting links between the parasite and schizophrenia, eye disease leading to blindness, and the flu-like symptoms of an active infection, Wikipedia reports that “correlations have been found between latent Toxoplasma infections and various characteristics such as decreased novelty-seeking behavior, slower reactions, feelings of insecurity, and neuroticism.” Hm. That sounds eerily familiar. I know you’ll probably say that you LIKE sitting home on Friday night, watching reruns of Dr. Quinn Medicine Woman on TVLand with Mr. Mittens, putting off going to the bathroom because it just seems like so much work. Perhaps you don’t mind that your stupid, underachieving, ugly boyfriend is in prison again after crashing his car into a male competitor’s mailbox. And it’s possible that you enjoy crying into your pillow because of your intense feeling of loneliness and worthlessness, feelings exacerbated by your general whorish behavior and deteriorating eyesight. Maybe when you’ve let it all out, your cat starts purring and pawing, bringing a smile to your face, making it all better. Or maybe, someday, your entire life story will be summed up in one horrific headline: Fort Worth woman who kept 185 dead cats loses custody of 100-plus live animals. 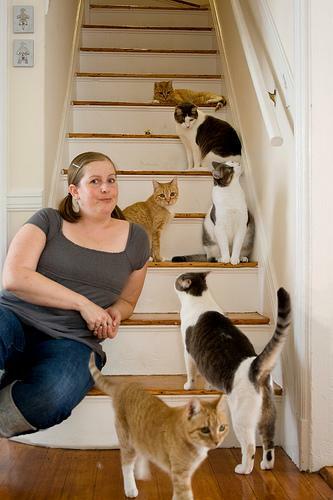 crazy cat lady: costume or reality? Though I love cats more than anything else in the world, even I have to admit that being a cat for Halloween is a little lame (unless you’re five). That’s not to say I haven’t done it, but it’s always a last-minute back-up–just stick some ears and a tail on your black clothes and you’re good. So this year, why not spice it up a little? Instead of being a cat, you can be a crazy cat lady–even if you’re a dude. Is it wrong that I kinda want that as my normal bathrobe?